Welcome to the JVNP 2.0 Update featuring a primary JV invite courtesy of fellow JVNP 2.0 Partners Jake Jasons + Harold Coleman (Cash Money Sites viral social media traffic biz opp launch ClickBank affiliate program JV invite), Buzz Builders (Chris Kyle – Launch Academy launch), and More … in Today’s gettin’ bizzy with it edition. 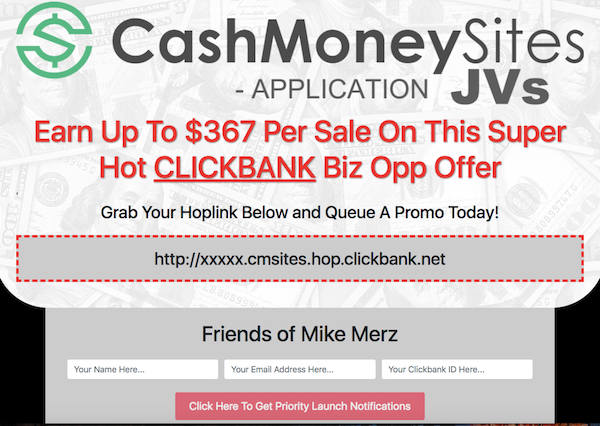 Prepare for the BIGGEST Clickbank launch of 2018 … Biz Opp Is Back! Earn up to $367 for every lead you send to our website. In a Hurry? Jump right on over to the JV page and gain access to your promo tools. Social Media is one of the most talked about topics in the Internet marketing space right now, but the only problem is that everyone is teaching the same old outdated money making methods. No one is talking about the NEW & IMPROVED stuff! So, what we’ve done is put together all the top social media money making methods used today that no one is really talking about! We’ve also setup a HUGE video library going over more money making methods than anyone can handle. The content being delivered is great and your subscribers will Thank You for recommending them to this! >>> Visit the CMS JV Page. Stats: $97 launch price 60% commission via ClickBank. PLUS there is a $297 upsell that’s converting around 70% that you take 60% of too! Expect EPC’s up to $5 out the gate! He’s the guy responsible for the most recent million dollar launches in biz opp! Given his track record, I can proudly say that I expect the copy to convert like CRAZY! >>> Grab your Promo Tools and More Here. We’ve decided to go in head first for this one… NO PRELAUNCH! Thank You for supporting this launch and I appreciate you being on board. The returns will be HUGE! Earn Affiliate Commission by Simply Giving Away Eben’s New Book! Do you have an audience that is interested in learning how to find and create more opportunity? I’m going to give away copies of my new Opportunity book for Free (just pay s/h) … along with a bunch of awesome bonuses, live training with me, & more. Plus you can earn commissions, win prizes … and I would appreciate the help. Eben Pagan – Opportunity Book Launch Affiliate Program. 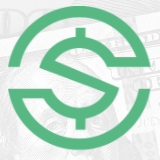 The Completely New and Upgraded ASM9 … This launch is your opportunity to earn up to nearly $2,000 per referral and to grab your piece of the $200,000 prize pool for affiliates! Experienced High Ticket Affiliates, Only, Please. Matt Clark + Jason Katzenback – Amazing Selling Machine 9 JV request page.